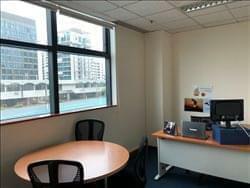 Find My Workspace lists over 95% of the serviced offices market in Marine Parade. Simply click Request Quote to check pricing for one office, or Add to Basket for multiple offices. This office space is ideal for any size business who wants to grow their company – whether you’re a start-up entrepreneur, or part of a well-established team. Offering IT support, printing and copying facilities as well as meeting rooms and conference facilities available, these furnished offices are ideal for impressing your many clients. You can take advantage of not only 24-hour access to the building but also the included banking services and administrative support. Full reception services are also available in this space, from welcoming your guests to answering calls and handling mail on your behalf. To obtain information for your selected Marine Parade Serviced Offices, please tick the "Add to basket" box for each office you prefer and complete the form below. We will then send a detailed report via email.